Additionally, I have changed the value of UIViewControllerBasedStatusBarAppearance in the plist to NO. However, in the splashscreen it stills shows the status bar text with the black color. Is it possible to change the color of the status bar text color in the splash screen? In the project plist file add the "Status Bar Style" property (key is UIStatusBarStyle). Then ignore all the possible values listed in the drop down for this property and type UIStatusBarStyleLightContent instead. And you don't have to set UIViewControllerBasedStatusBarAppearanceto NOin your plist, you can set the preferredStatusBarStyle you want to your view controllers. You can do the following things for getting light color status bar throughout the application. Select the name of the project in the project navigator. 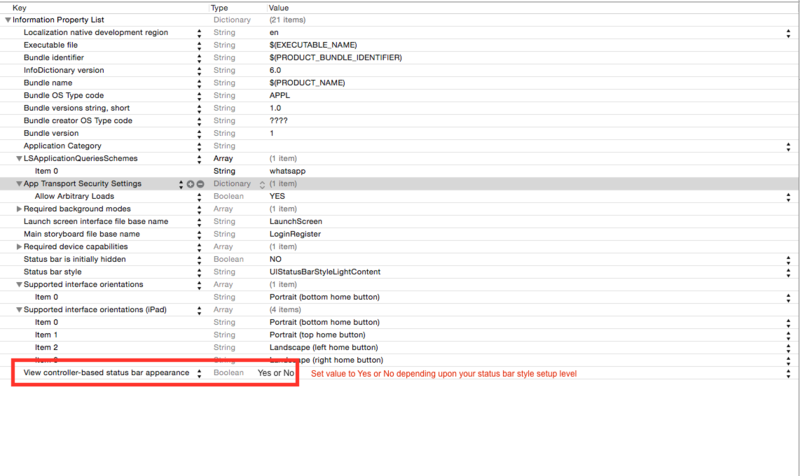 Select the name of a target from the list in the left column of the project editor. Click General at the top of the project editor. This will help you to get the status bar in WHITE colour throughout the application including SPLASH SCREEN. 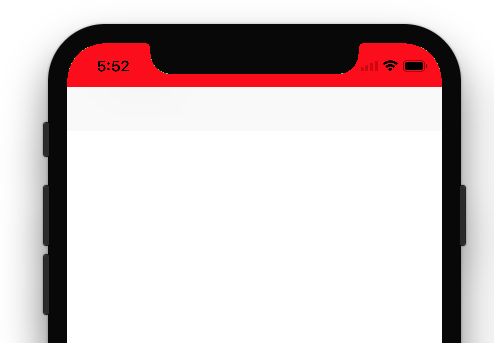 Here is Apple Guidelines/Instruction about status bar change. Not the answer you're looking for? Browse other questions tagged ios ios7 splash-screen statusbar uistatusbar or ask your own question.